A new regulation in the Fair Work Act has given the WA Government and Port Hedland’s iron ore miners a powerful legal instrument to fight against the danger of an impending strike at Australia’s highest tonnage port. The new regulation, which took effect yesterday, grants third parties impacted by strike action the right to apply to the Fair Work Commission (FWC) to suspend or terminate that action, effectively giving WA Commerce Minister Michael Mischin the same power that already exists for ministers in all other States which, unlike WA, have referred their industrial relations powers to the Commonwealth. “The new regulation will allow a minster of a state — which has not referred its industrial relations powers to the Commonwealth — to apply for the Fair Work Commission for the suspension or termination of protected industrial action. Such a power exists presently for the ministers of all states, except for the ministers of Western Australia, where industrial action often threatens both state operations and international trade activities of great national significance,” said Steve Knott, Chief Executive at Australian Mines and Metals Association (AMMA), in a media release. According to the article on Yahoo, the new regulation in the Fair Work Act appears aimed at a workplace dispute between the Maritime Union and Teekay Shipping, the company contracted by BHP Billiton to provide tugboat services at Port Hedland. 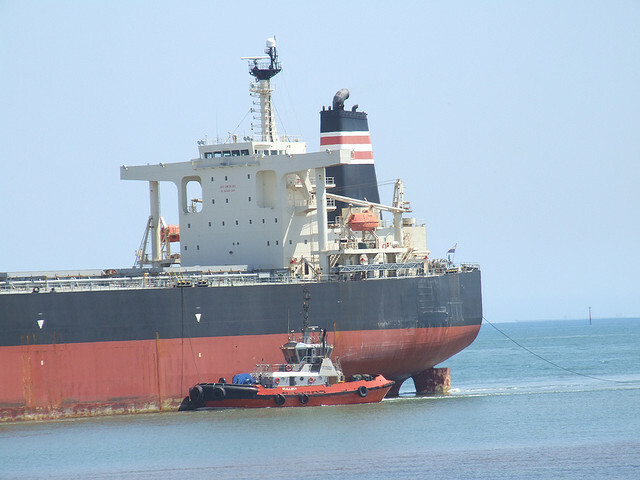 About 50 tugboat workers at the port, all members of the Maritime Union, have until 11 July 2014 to decide if they will seek to take protected industrial action and suspend operations at the port. Port Hedland is the exit point for the vast majority of Australia’s iron ore, so mining giants like BHP Billiton, Fortescue Metals Group and Atlas Iron could lose up to $100 million a day if the strike takes place. The State Government would also be affected by such an outcome, losing about $7 million a day of revenue in the form of royalties.